Every PR executive needs a good working knowledge of print production. Ensure that you know how to select the right printer for the right job, and learn which factors influence cost and how to make savings by undertaking your own print-buying. Whenever you use a supplier, make sure that you shop around – not only for the best price, but also for the most appropriate provider for your needs. Most large printing firms employ sales representatives who will be happy to visit you. Find out what equipment and machinery the print firm uses and what it is capable of. Ensure that the representative brings samples. Check that the quality is good. Are colours true? Are documents folded neatly? Are pages stapled, or ware stitched, with precision? Are pages cut square? Usually a rep can arrange for you to visit and to see the printshop in action. This is a good opportunity to introduce yourself to the processes and the jargon, and to ask questions. Many factors affect print prices. Internal factors – such as how busy the printer is, or how much they want your business – will have an influence. Then there is the specification or “spec”. Certain processes will add to the cost. Full-color printing costs more than two-color printing. The number of pages, the number of copies, and the type f paper used will also affect cost. Special effects and finishes, such as metallic inks, die-cutting, varnishing, laminating, and embossing will inflate the bill. There will be a charge for scanning and for the provision of cromalins. Traditional printing performed on a printing press is ideal for runs of at least 500: the larger the run. The lower the unit cost. 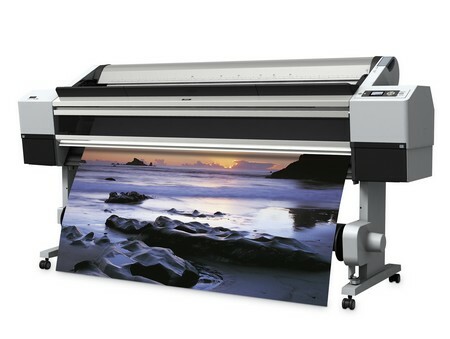 However, for short runs – especially short full-color runs – digital printing is more cost effective. With a press, the main cost is in setting up the machine, making small runs uneconomical. Digital printing has no set-up costs, so the unit cost for one copy is little different to the unit cost for 1,000. Many printshops offer both forms of printing. Ask which is best for your needs. If you do not have time to arrange your own printing, or if print-buying is a new area and you would prefer to gain some experience first, you can ask a graphic designer to organize it for you. In the long term, however, it is cheaper to do your own print-buying. It is standard practice for designers to mark up the cost of printing, usually by about 15 or 20 per cent, as a kind of handling fee.